On the 11. and 12. 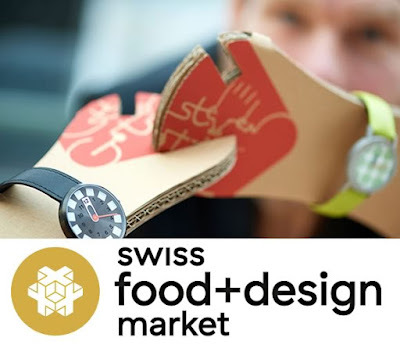 November the third Swiss Food+Design Market will take place in the Konzepthalle 6 in Thun. I wil show a selection of watches to individually mix and match. Come and visit me and while you're at it munch your way through a caleidoscope of Swiss specialities. Get a brief overview of the event here or visit the event-website for more infos.